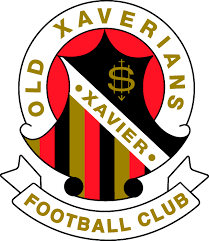 While the women’s Old Xavs team have been playing for years now, the girls will finally have some more inspiration to look up to since more women are joining the professional Alsatian Football League, also formally known as AFLW. 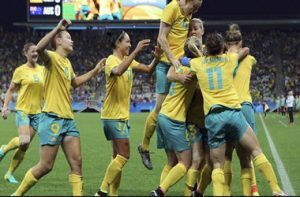 For the first time last year, women have begun to play Australian football professionally which has gained massive media attention as well as stadiums that are being completely sold out. While the league is no stranger to having the occasional controversy, mainly regarding the pay inequalities, they have gained a notable fanbase and has been appearing even more on television over the last few months. While the WOX team has a knowledge of what Australian styled football entails, many foreigners are giving the professional players, as well as any woman who plays the spirt, a massive amount of respect as many believe the sport is insane, ferocious, and a wild mix of the toughness of rugby. While many women have been playing football for the past 102 years, it was not until 2017 that women were allowed the platform to play their beloved sport professionally. It all started in Melbourne where two teams entirely composed of women met on the field to win a title. Though, the interest surrounding the game was so massive the game was forced to move to a bigger venue to host all of the anticipating spectators. Though even the venue change wasn’t large enough as 26,000 fans wanted to see the very first game that made history. Despite the massive loads of support, there have been issues regarding the pay gap between men football players and women’s. The AFLW isn’t standing down as the players have been demanding the same respect and payment as the men’s teams – which has made the game itself even more well-known. There have been signs of their pay gap slowly improving as some female players have been known to receive higher payments if their skills are up to par. Although at the end of the day, as they are playing the same sport, with the same rules, and the same passion – then they should be getting paid the same amount. Although, this can be easily tied down as many of the WOX players have shown their skills on the field and their passion for the sport. While many of their male counterparts on the Old Xavs teams have expressed their desire to go pro, the females who are apart of the WOX can finally say the same and know that they have a possibility of making it big. While it will require a massive load of confidence, practice, skill, and determination to make it into the big league – it’s finally nice to see that the female players have fellow women that are playing pro that they can look up to. Who knows, maybe one of the WOX payers today will be making headlines on television while she’s dominating the field.